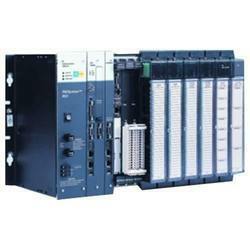 We are a CPRI approved manufacturers of Control Panels since last 20 years. We are also an Authorised System Integrator of RedLion-USA. Expanded systems up to 4,096 I/O points. Modular PLC supply a number of features usually found only in PLCs with larger footprints,including up to 64K of memory for application programs, floating point math, andreal-time clock. With a modular and scalable architecture, the Modular PLC CPU is ideal for standalone control applications with up to 256 local I/O or expanded systems of up to 4,096 I/O points.